Just by looking at this print, you can tell it’s going to be a beautiful day to go fly. It’s early on the flight line and still cool out. No one has turned avgas into noise. Yet. 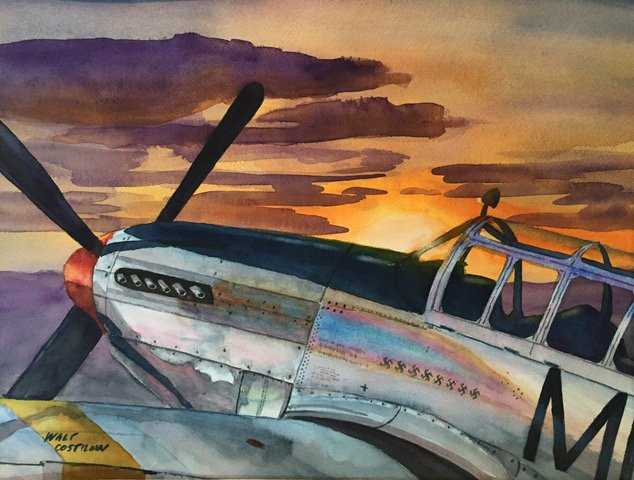 This beautiful 12” by 14” print celebrates the iconic P-51 Mustang.